You want to play the Guitar and you need a course you can trust. Look no further, you have found the best place. Charles Ramirez is a world class concert Guitarist and a legend in the Guitar teaching community. He has over 30 years experience of teaching all levels from beginner through to professional. He has distilled a lifetime of playing and teaching the guitar into the Maestro Workshop method. A highly structured, progressive and intuitive method. 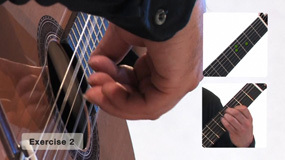 Focuses on the fundamental techniques of the guitar with technical exercises to lay the proper playing foundations. Based on 30 years of teaching experience in one of the world's most prestigious music institutions, London's Royal College of Music. 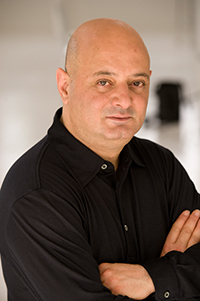 Respected professor and acclaimed performer worldwide, Charles Ramirez is your personal teacher. The absolute best method, explanation and demonstration possible anywhere on the internet. Ideal for learning at home, or wherever you happen to be. Maestro Workshop provides you with a very affordable solution to accessing the top personal instruction from home. High quality, accessible and convenient. Focused demonstrations, guidance and practice. Best in class video technology (3-angle HD close-ups, slow motion analysis and graphic animation). Forget language barriers and inefficient talking to cameras that most old unstructured online guitar tuition services provide. Maestro Workshop uses modern teaching methods to improve your learning experience. Each single lesson comes with a detailed pdf document written by Charles Ramirez that complements the video. The documents are also used to teach tablature, a method of writing music that is simple and allows you to play good pieces from the beginning. Maestro Workshop's subscription pricing makes the complete course affordable for all. Our pricing ensures that we can complement more expensive one on one lessons or stand as a highly structured but much cheaper alternative. Charles Ramirez has more than 30 years of experience teaching learners at all levels. 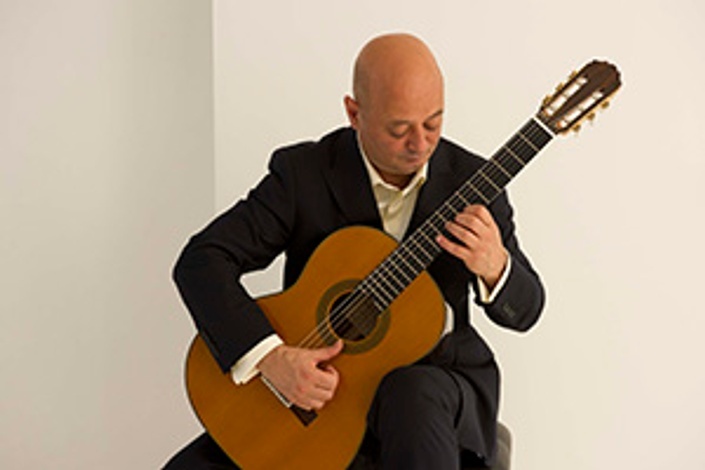 He is Professor of Guitar at the Royal College of Music in London, one of the world's most prestigious music conservatories. He also teaches at the Junior Department of the Royal College of Music (RCMJD) which provides specialist tuition for gifted young musicians of school age. His book 'Technical Development for Guitarists' was used for over a decade by the Trinity College London (TCL) international grade exams. The book quickly became a reference manual for teachers and students and has been highly influential in raising the standard of guitar teaching worldwide. As a performer, Charles Ramirez has been wildly acclaimed, and his last recording with the Chamber Orchestra of Europe attracted enthusiastic reviews by major critics. Charles loves teaching beginners and has been doing so for 30 years. This method starts at the very beginning with how to sit. All you need is your guitar, some enthusiasm and a little patience to get started. Can I learn the guitar from watching? If you're watching the properly executed technique, yes. Most definitely. While access to a great teacher is nice, we bring you the very best teacher to your home. Learning alone can be very fulfilling as you see yourself improve daily. What is each video lesson like? Each lessons starts with a demonstration followed by the technique and technical exercises. They are all filmed from 3 angles and in slow motion. Graphics are used to assist when needed. The foundations course is divided into 3 levels. Each level takes between 3 - 6 months to complete assuming regular practice. How do I know that I'm playing correctly? Each video has a do's and don't section where Charles demonstrates what NOT to do. This is invaluable. No. You can copy and play without reading anything. 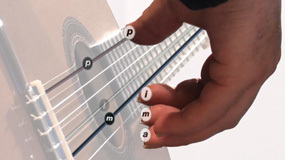 We also teach you tablature which makes playing easy. Does this course help me play other guitar styles? These fundamental classical techniques are common to all styles. 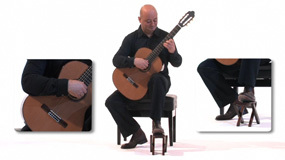 Many guitarists started with the classical guitar. Can I use this method to teach my child? Yes, this is a great idea! Due to the structured methodology, your child can easily follow from Lesson 1, and you can see him or her build solid foundations. How is this different from other methods online? Its' taught by the preeminent Concert Guitarist Charles Ramirez. It has a progressive structure based on 30 years performing and teaching experience. Is Charles Ramirez actually performing in all the videos? Absolutely. Charles performs all the techniques, exercises and repertoire. He even allowed us to film his do not's! Maestro Workshop is the highly structured, progressive course you need to learn correct techniques that you can build upon. Enroll now, and start enjoying this wonderful instrument. This methodology has been tried and tested over 30 years by Professor Charles Ramirez. It focusses on the absolutely fundamental techniques, and the proper execution of that technique to ensure that your Guitar playing is build on solid foundations. With the techniques understood, Charles introduced beautiful repertoire that flows from the techniques. In their way your Guitar playing foundation will be solid and able to continually grow.